Many pilots who get bitten by the “warbird bug” like to think of themselves as having been born in the wrong generation. Andrew McKenna was not born too late, but he probably would have fit in nicely into the middle of the last century. 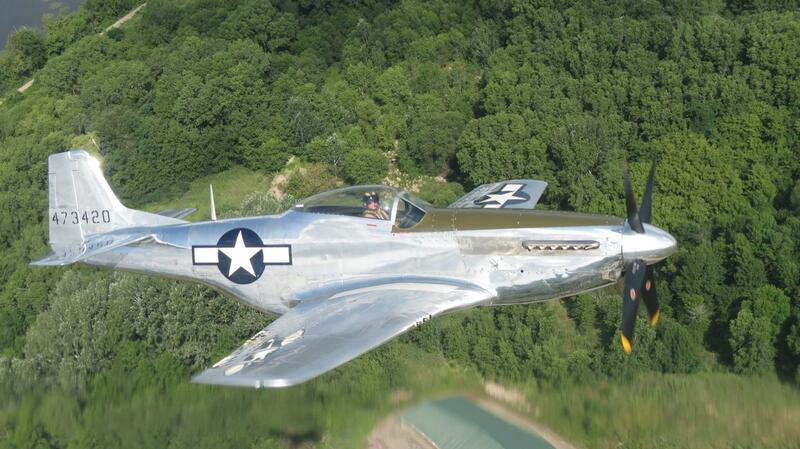 As an owner and operator of two iconic WWII aircraft, a North American AT-6G Texan and a P-51D Mustang, Mr. McKenna has a keen appreciation for the generation that first flew those warbirds. Like many warbird pilots and enthusiasts, Mr. McKenna went to airshows as a kid and visited the airport with his father often. His dad told him at an airshow that he might be able to go for a ride in a P-51 Mustang one day, at which he responded, “I don’t want to go for a ride in one I want to go fly it!” He soloed shortly after his sixteenth birthday, but did not have the time or the resources to continue and obtain his private pilot license. Regardless, Mr. McKenna thought of flying every day, and worked hard in school, with the idea that he would one day finish what he had started many years before. He finally received his license at 30 years old, and operated a Cessna 400 a single engine fixed-gear aircraft for a year, after which time he acquired his first warbird an AT-6G Texan, which he named “Pamela Marie”. 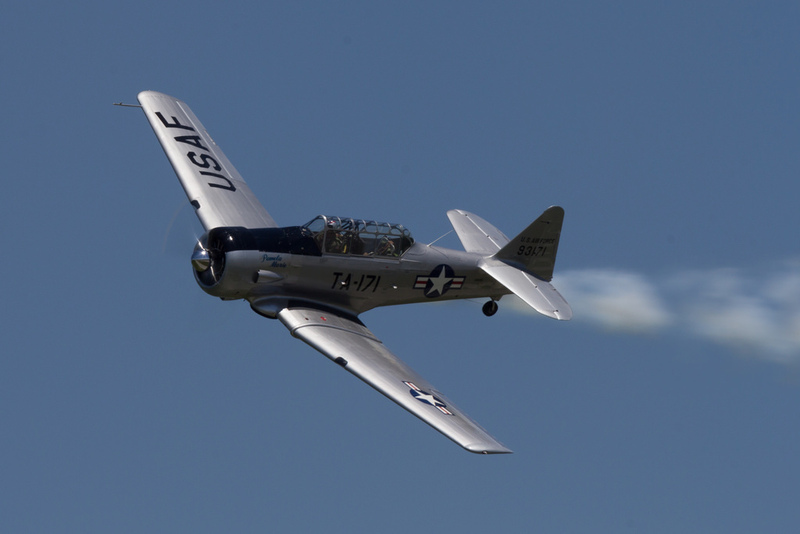 “Pamela Marie” is an airshow favorite on the East Coast, and is the aircraft on which Mr. McKenna learned necessary skills that would help him graduate to other warbird aircraft. 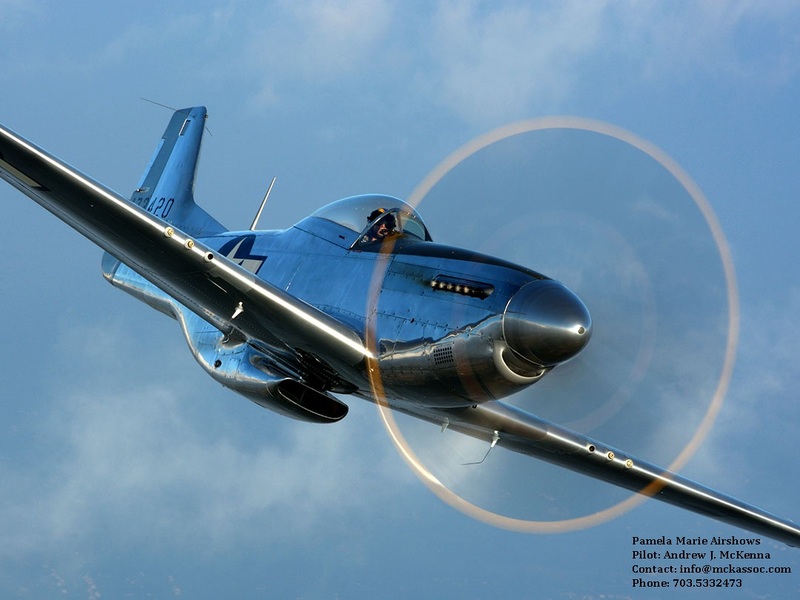 After mastering the T-6 he transitioned into the legendary P-51 Mustang. He first soloed Jim Beasley’s Mustang at Chester County Airport. 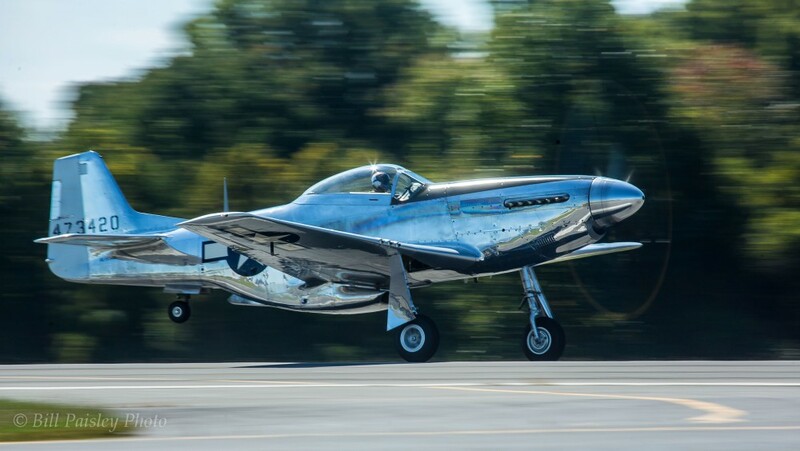 “Sitting at the end of the runway in Jim Beasley’s Bald Eagle and putting the throttle forward on a P-51 Mustang and taking off”, is one of the highlights of his flying career. 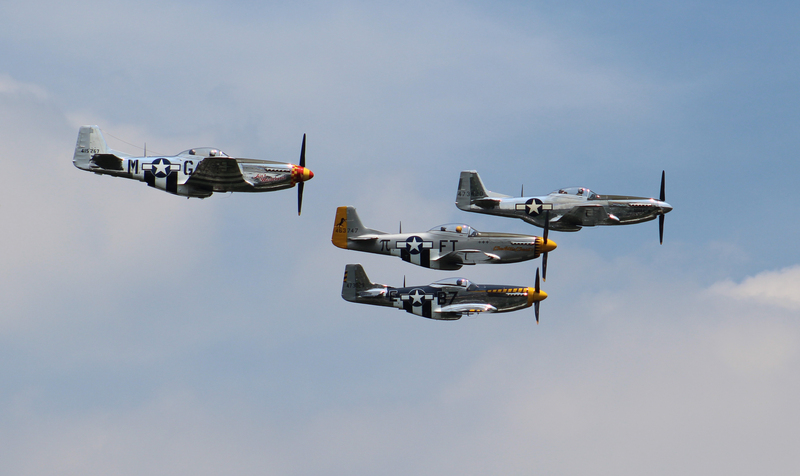 What does it take to fly high performance retired military aircraft at an airshow? As Mr. McKenna says it’s, “practice, practice, practice”, with a heavy dose of professionalism. He follows the lead of the pilots he looks up to like Sean Tucker, Rob Holland, Patty Wagstaff, and Lee Lauderback who are all involved in flying aircraft at the highest level. Although Mr. McKenna has a full-time job, he tries, to treat flying as it is as well. That means “2-3 practices prior to any demonstration…what people don’t know is that I’ll be in that Mustang, five or six times before I ever show up at an airshow”. Professionalism is of the utmost importance in the airshow flying profession. Before each airshow demonstration Mr. McKenna flies in the morning of the show, walks his demonstration through twice on the tarmac and takes between forty-five minutes and an hour in order to mentally prepare himself for his flights. He uses the extra ground time in order to assess and understand the weather and risks that are involved in flying in each airshow. In addition, as an airshow performer, he must always be ready to adjust different situations which could occur. When it comes to preflight rituals, Mr. McKenna is sure that he gets enough sleep, does a workout in the morning prior to the show, and goes to a quiet spot before he flies in order to, “get in the game. One of his most important preflight rituals that he shares with other airshow performers is that all of his flight gear is arranged exactly the same way every time he goes to fly weather it is in an airshow or not. Mr. McKenna, also stated that an important part of professionalism is being able to govern yourself and know if you are not ready to fly. For example, due to the fact that he has primarily been flying his Mustang, he would need at least two weeks in order to become proficient with his aerobatic demo in his T-6. Mr. McKenna has had the opportunity to fly in many amazing airshows and events, but one of the most meaningful for him was the flyover that he honoring USAF Lt. Col. Hoagland over Arlington National Cemetery. Mr. McKenna was in his P-51 Mustang which was carrying Hoagland’s nose art for the flight, followed by four USAF F-22 Raptors. Mr. McKenna is honored to be able to give back to active or former military personnel in this way. In terms of most exciting moments flying, Mr. McKenna enjoys flying in formation with Jim Beasley, his mentor.